While visitng us in California and waiting for me during my sculpture class in Palm Springs, my niece, Stephanie, did her own sculpting from some of my clay. 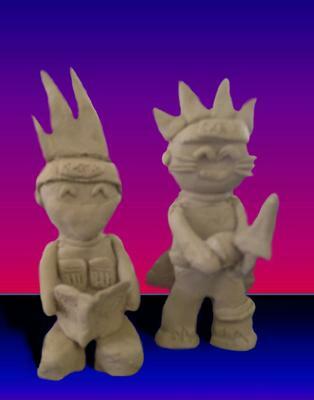 Inspired by the wonderful creations at clay-it-now, she created Naruto and Kakashi.. from the Japanese anime called Naruto. She will be back in June to paint the clay! Spontaneous, imaginative and original anime characters. Beautiful kid's clay project.